Join us in a salute to a remarkable organization. 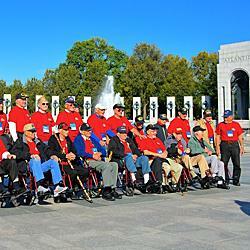 The Honor Flight Network recognizes American veterans for their sacrifices and achievements by flying them to Washington, D.C., to view all military branch memorials, at no cost to the individual veteran. With the hard work and dedication of Honor Flight hubs and their communities throughout the U.S., over 100,000 veterans have made this cathartic journey. Volunteers and generous donors are the mainstay of the Network; read more--and find out how you can help--by downloading their brochure. 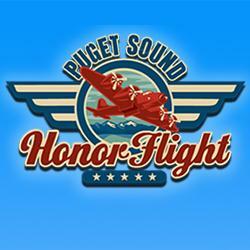 To learn more about the inspiring and patriotic work of our local hub, Puget Sound Honor Flight, and some of the selfless individuals who make it all possible, be sure to attend Lakewood Historical Society's monthly program for November--it's free and open to the general public. Time: 7:00 pm, Tuesday, November 22nd Place: St. Mary's Episcopal Church, 10630 Gravelly Lake Drive SW in Lakewood. Following the presentation, we ask Society members (and interested non-members) to stay on and take part in our Annual General Meeting.